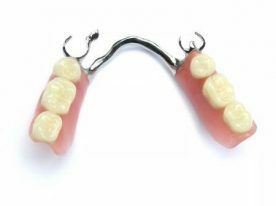 Removable dentures, or more commonly simply known as dentures, are removable prosthesis for replacement of your missing teeth. Full dentures are made when all the natural teeth are missing. 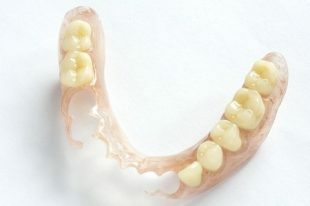 Partial dentures are made when some natural teeth are present. They can made from acrylic, metal or special plastics. 1. Your dentist will check your dental condition to assess if you are suitable for dentures. He will manage and treat your primary dental condition to ensure you are ready for the dentures. 2. For the dentures, he will take impressions of your teeth and jaw. Registration of the upper and lower jaw relationship will be done. 3. 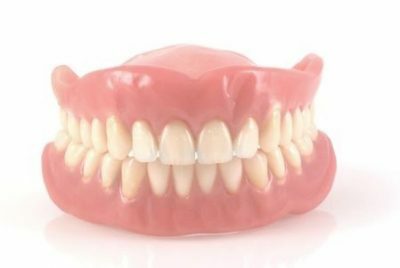 A wax replica of your dentures will be made and assessed for the fit and general aesthetics. 4. The dentures will be fabricated in the laboratory. Once ready, your dentist will make the final adjustments and issue them to you. 5. Your dentist will review you after one week to assess how you are getting used to the dentures. Further adjustments can be made to the dentures if necessary. In some situations, the patients may not be suitable for removable dentures and the dentist may advise other options e.g. implants. Please ask the dentist for more information.